Dhaka, Dec 6 (Just News): Jatiya Party Chief HM Ershad today alleged that he is not being allowed to go aborad for better treatment. “Although I am sick, I am not being allowed to go abroad for treatment,” Ershad said while addressing his party men in front of his Banani party office in Dhaka. The JP chief suddenly went to his party’s Banani office this noon from Dhaka Combined Military Hospital (CMH) where he was readmitted yesterday. 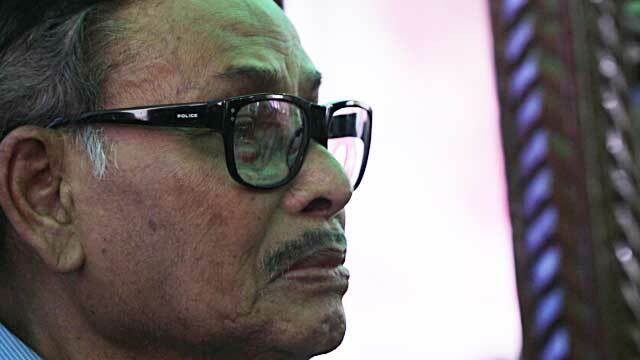 However, 88-year-old Ershad did not clarify who was barring him to get treatment. The JP chief also urged the party men to assist the newly-made party Secretary General Ranga.